Abstract (well…kind of): The following is a summary of Dana M. Pike and David R. Seely, “‘Upon All the Ships of the Sea, and Upon All the Ships of Tarshish’: Revisiting 2 Nephi 12:16 and Isaiah 2:16,” Journal of Book of Mormon Studies 14/2 (2005), pg. 12-25. The reader is encouraged to read this whole article, and also consult it for source citations regarding that various points made in this brief review. One of the most important things for apologetics to keep in perspective is that a good defense requires sound scholarship. Anytime we make an argument on the basis of bad, or faulty information, it is like building our house upon a sandy foundation (see Matt. 7:26-27). Furthermore, as Latter-day Saints, we simply should not fear the truth. For those reasons, I proceed to disabuse the few who may follow or find this blog of a popular “evidence” given for the Book of Mormon, which is likely not based on a firm foundation. The Greek (Septuagint) has “ships of the sea.” The Hebrew has “ships of Tarshish.” The Book of Mormon has both, showing that the brass plates had lost neither phrase. This is likely based on the observations of Sidney B. Sperry, who first wrote about this topic in 1939. It has, since then, been repeated over and over by various commentators. The problem is that it’s a lot more complicated than that. Scholars today, for one reason or another, tend to think that the two phrases (“ships of the sea” and “ships of Tarshish”) are one and the same. I will go a bit into the Hebrew and Greek texts to try and explain just what the problem is. I would also like to draw attention to the second line (b), where śĕkîyôt has been translated as “pleasant pictures” in the KJV and the Book of Mormon. The discovery of the Ugaritic tablets, and also Egyptian cognates, has helped scholars gain a better understanding of this word. Today, modern translators tend to translate śĕkîyôt as either “ship” or “craft,” (the NRSV has “the beautiful craft”) thus creating a parallel couplet between lines (a) and (b). This seems to be consistent with the Greek (see below). Thus it is likely that “pleasant pictures” is not a correct translation. Most scholars have argued that thalassēs, “sea” was mistranscribed, and should have been tharsēs, “Tarshish.” The two words are similar enough that this is a reasonable explanation. The other possibility is, as noted above, that the Greek translators understood the Hebrew taršîš to mean “sea,” and thus intentionally translated it as thalassēs. Line (b) usually is translated “and upon every display of fine ships,” and thus accords with the view of modern scholars regarding the most likely interpretation of the Hebrew. So, what, then, are the implications this has for the Book of Mormon? Well, the first thing is that the Greek text is not a vindication of the Book of Mormon text. Since “ships of the sea” in the Greek is most likely the same line as “ships of Tarshish” in the Hebrew, the Greek text simply doesn’t offer support for the Book of Mormon’s variant reading. This of course doesn’t mean that there never was ancient version of this passage which has the extra line, it just means that we don’t have evidence for it. Second, since lines (a) and (b) form a parallel pair, it seems unlikely that a third line of text was present in the original form of this verse. Isaiah 2:13-16 creates a symmetric unit, with repeating parallel pairs. Thus, a third line in verse 16 would seem to be out of place. Third, in having the line that says “pleasant pictures,” it would seem the Book of Mormon perpetuates a mistranslation. How do we, as believers in the Book of Mormon, deal with these implications? Well, I’ll first offer my thoughts on the mistranslation issue. 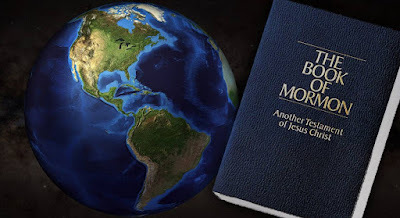 While it may discomfort some to admit a mistranslation in the KJV that is perpetuated in the Book of Mormon, it must be remembered that although the Book of Mormon has been translated by inspiration, that does not make it inerrant. “Pleasant pictures” was an acceptable (or “correct”) translation of śĕkîyôt in 1830, and given that the difference has absolutely no theological import, it (“pleasant pictures”) may have been deemed (either by Joseph, or the Lord) as “sufficiently plain to suit my purposes” (see D&C 128:18). What about the other two issues? How can we explain/accommodate the extra line? Well, there are a few different possibilities. Some (though not all) of these are brought up and examined by Pike and Seely, who determine whether or not they are very likely. Here, I’ll just state the various possibilities. 1. Although it seems unlikely, it is possible that all three lines were a part of the original verse, with “ships of the sea” and “ships of Tarshish” forming the parallelism and “pleasant pictures” (or, more correctly, “display of fine ships”) being an all encompassing summary statement of the two parallels. Verse 13 has three lines, so this may have actually enhanced the symmetry (by creating a parallel structure between the opening and closing verses of the symmetric unit), not diminished it. 2. It could have been introduced as a variant, either by error or deliberate editing, very early on, resulting in a textual tradition that persisted for a short time, and thus got it copied onto the brass plates that way. If that is the case, then that particular textual tradition would have probably died out shortly after exile (probably before the Dead Sea Scrolls era), and did not survive until the present day. This could perhaps have happened if someone influential noticed that it had been an error that was perpetuated. 3. It could have been an error or intentional edit that originated with the brass plates. Those plates were subsequently taken from Jerusalem by Nephi and his brothers, and thus kept that error from being continued among the Jews (hence, there would be no evidence of it in any of the ancient manuscripts). 4. It could have been an error or intentional edit made by Nephi as he was copying down the verses on to his plates from the brass plates. Again, this would mean we would not discover any of evidence of the variant in any of the available manuscripts. 5. It could have been an error made by Joseph Smith or Oliver Cowdrey in the translation/transcription process. The Original Manuscript is not extant for this portion of the Book of Mormon, so we can’t examine it for whatever evidence this may hold. The only real conclusion we can reach is that the Greek does not offer ancient evidence for this variant in the Book of Mormon. While this has been a popular argument among Latter-day Saints, it needs to be abandoned. If options 1 or 2 are what happened, then we may someday see some evidence of this emerge if/when older (much older) manuscripts of Isaiah are discovered. If the variant was introduced through one of options 3-5, then we will likely never have this variant reading vindicated, but that is okay. It should be clear from the above that there were plenty of opportunities for this variant to creep in (or disappear from other textual traditions, as the case may be), and thus there is no reason its presence should be taken as evidence against the divine and ancient origins of the book. As we disabuse ourselves of ill-founded arguments, we can better shore up the foundations of our faith, thus ensuring that we are built upon the rock, where the arguments of the adversary will have no power over us (see Matt. 7:24-25; Hel. 5:12).